What I am wondering is this: does the statement until they're gone mean "until the x number on sale have run out" or until they are all gone? 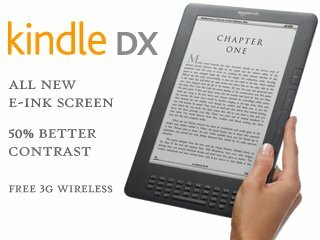 Are Amazon about to announce a wifi version of DX, I wonder? $299 is a great price for this big device, from the original cost around $500 a couple of years ago. This comes just days after they announced the new $114 Kindle With Special Offers option: as well as the current Kindle WiFi and Kindle WiFi+3G, a new WiFi edition has been launched at a lower price with the pay-off being sponsored screensavers.